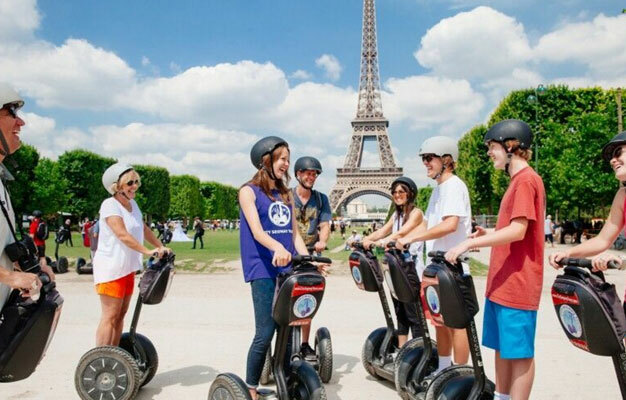 Spend a few hours on a segway around Paris! It's the perfect tour for both those new to the city and Parisian veterans. And we're convinced both groups will agree that riding a segway is the best way to see the ‘City of Light'. From a segway is a great way to explore Paris in a short amount of time. Your personal segway will make a magical city come to life in a new and fun way! If you've never ridden a segway before, there is no better backdrop than beautiful Paris. Our Paris Segway Tour offers the perfect orientation to a timeless and magnificent city. Glide along the famous streets and through the beautiful parks and experience Paris like never before. Please be there 10 minutes before your tour starts. The tour departs daily at 10 AM & 12:30 PM most of the year. Check the calendar for availability and times.